Another Smith | Words from one of the million Smiths of the world. Words from one of the million Smiths of the world. Thanksgiving was quite the adventure this year. In the best way. It was busy and exhausting, but time with family was worth all the crazy travel. We got to spend time in Atlanta and Stone Mountain with cousins. 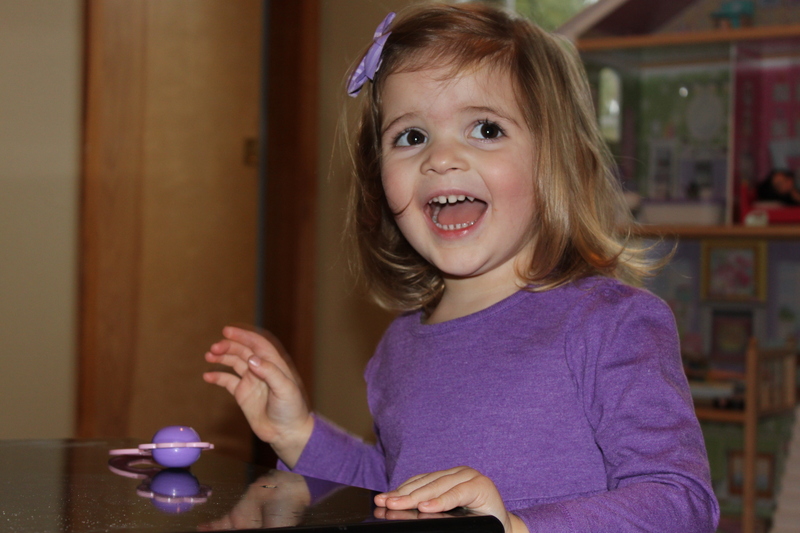 Caroline was so excited to see her cousins that you would have thought she was on a permanent sugar high…which is mostly not true. Those four girls have so much fun together and we miss not being with them all the time. But THANKFUL for the time we get. 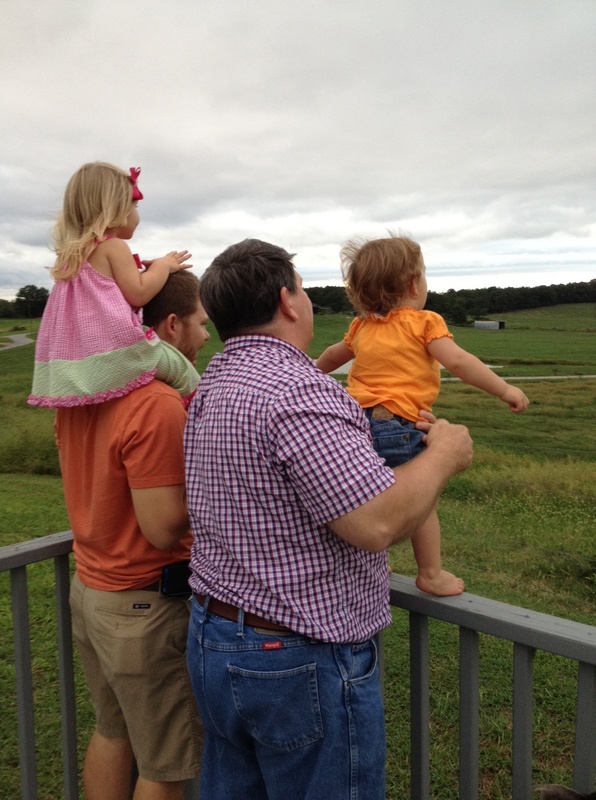 The next part of the trip was spent in North Carolina with my side of the family. Lots of food, some family that Judson got to meet for the first time, and Pieface. 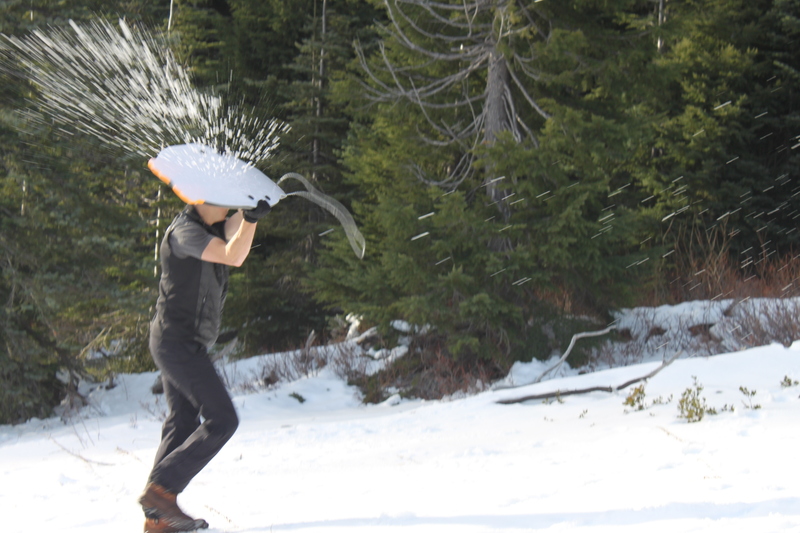 Caroline didn’t get hit with “pie” until Michael got hit and “shared” with her all over her face. She loved it. Judson had that nervous look on his face the entire time. What are these people doing?! 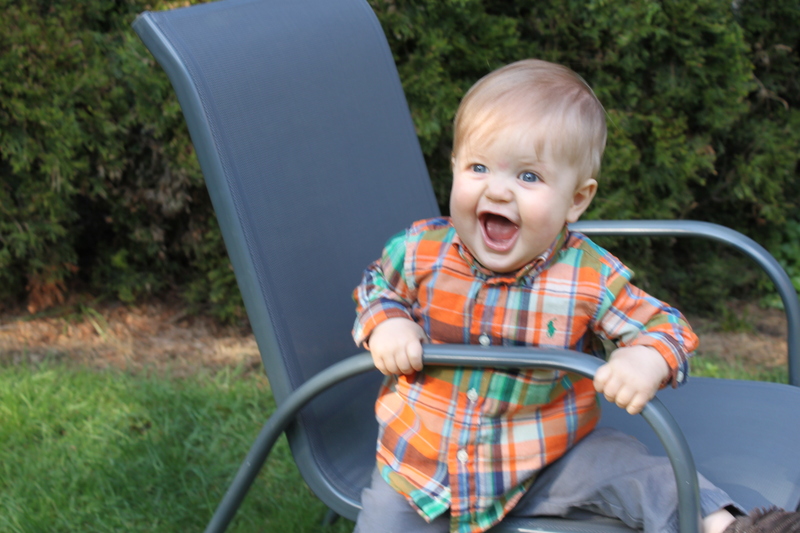 Speaking of Judson being nervous, Santa pictures failed miserably. Unless you like the whole crying-kids-with-Santa thing, then it was a great success. After the Santa incident we ended up having a great Christmas! Judson got a basketball hoop, which he affectionately calls “hoop”, and Caroline got her first bike. They also got a few things from family that I’m still hoping to find space for in our tiny garage/playrooom. But of all the things…they are really enjoying this one huge box. I don’t think they would say the box is their favorite Christmas gift, but if time spent is any indication, the box wins. 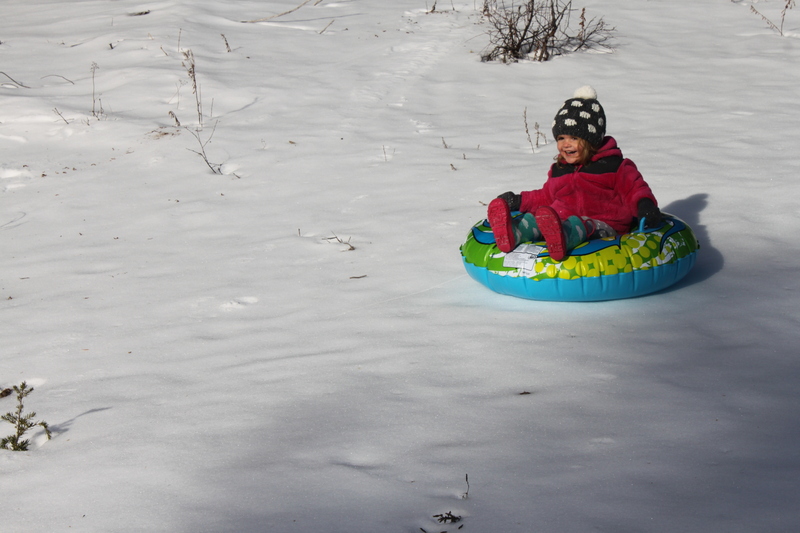 And THEN…there was a snow day. Tomorrow is back to real life and a regular schedule. Bring it, 2016. Would you look.at.that. Back to writing and it’s only one month-ish later instead of two years later. Progress. Judson is picking up more words and they actually sound pretty good sometimes. My new favorites are ‘mommy’ and ‘daddy’. Pretty much the sweetest words I can think of, especially since Caroline has been calling us Mom and Dad for a couple of years now. He’s trying to mimic what we say, but a lot of times it sounds nothing like what we’re saying. Example: Our friend Abbey tries to get him to say Abbey one syllable at a time. He’ll say ‘ahh’ and then ‘bee’, but when it’s time to put them together and say ‘Abbey’ it comes out ‘beepa’. Weird. 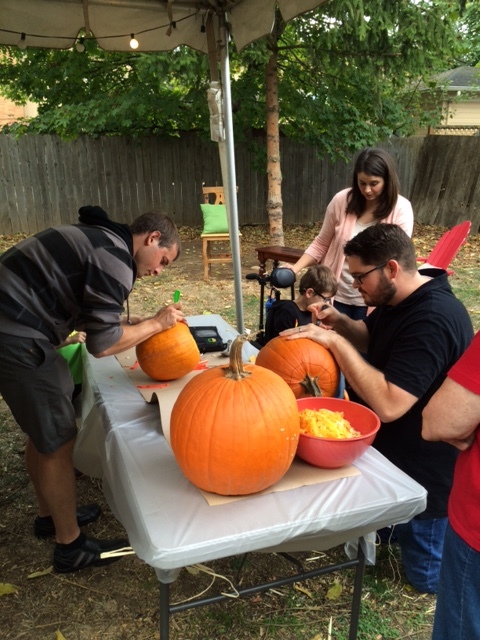 A few weeks ago was our favorite annual pumpkin carving contest with the Hankins. They started this tradition years ago in Georgia, but it’s still going strong in PDX. This was our third year and it’s getting bigger and better every time. Of course it was supposed to rain so we got a tent and made it work. 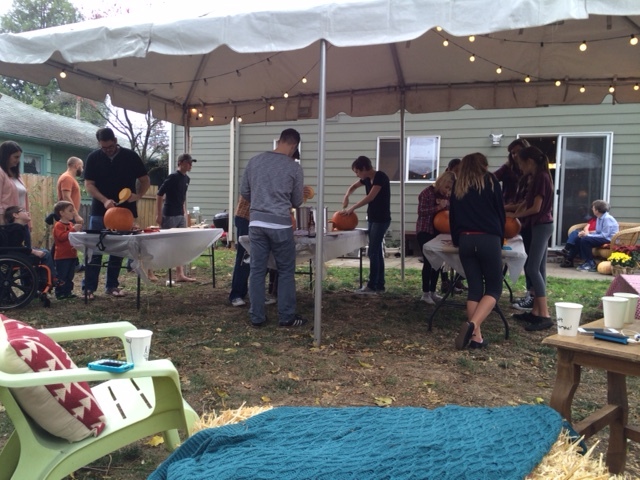 The rain held off for most of the party and lots of friends and neighbors joined us. We are so thankful to have friends to share the fun with us. Halloween was a blast this year. The rain tried to stop us, but we’re Portlanders now and a little bit whole lot of rain doesn’t stop us anymore. We went to a friends house to eat and let the kids play while we waited for the rain to slow down a little. 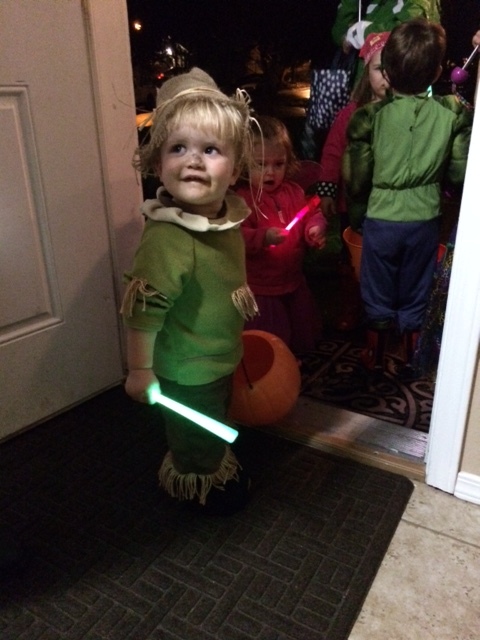 Judson loved trick-or-treating as much as any kid ever. 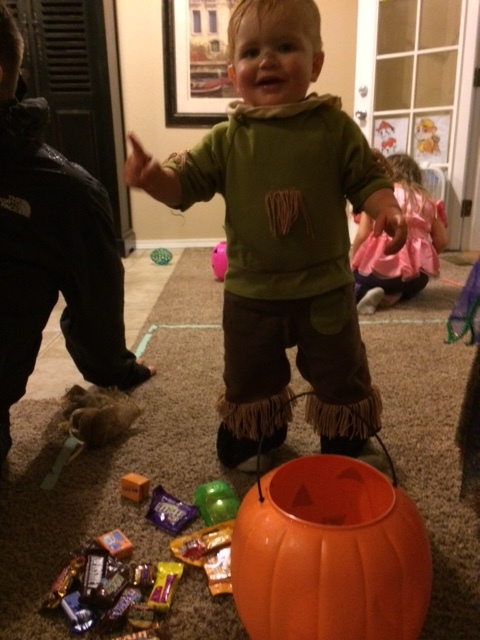 He giggled as we walked in the rain to each house and when the door opened he tried to grab as much as candy as he could from the bowl. 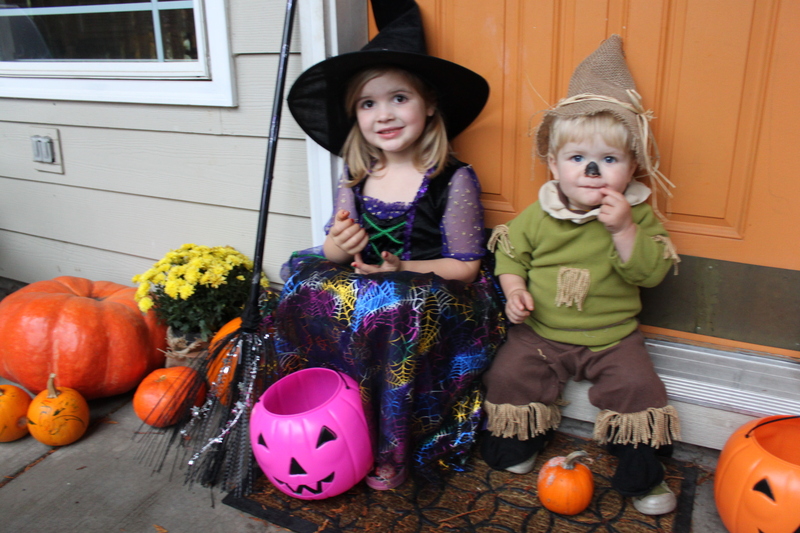 It doesn’t take long to figure out free candy. Even soaking wet, he was pretty cute checking out his stash. One of my favorite things this October was our neighbor, Sally. 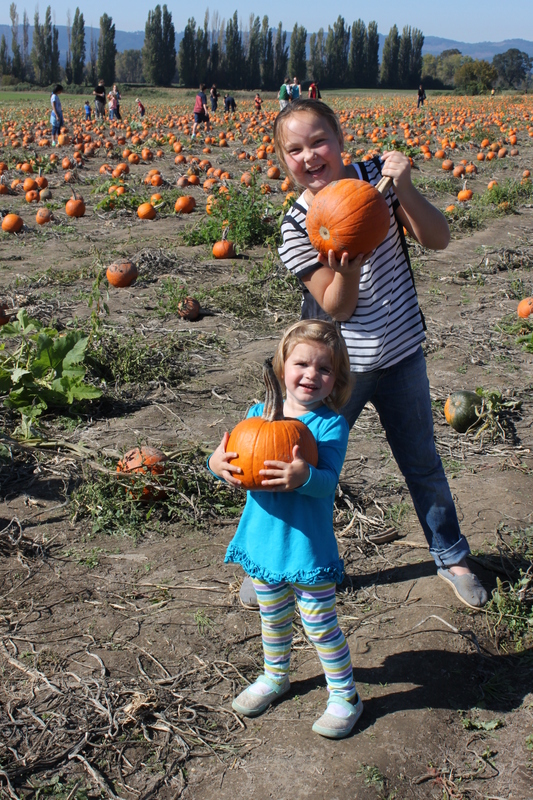 Sally let Caroline help her grow pumpkins in her yard and then let Caroline pick out her favorite one to keep. 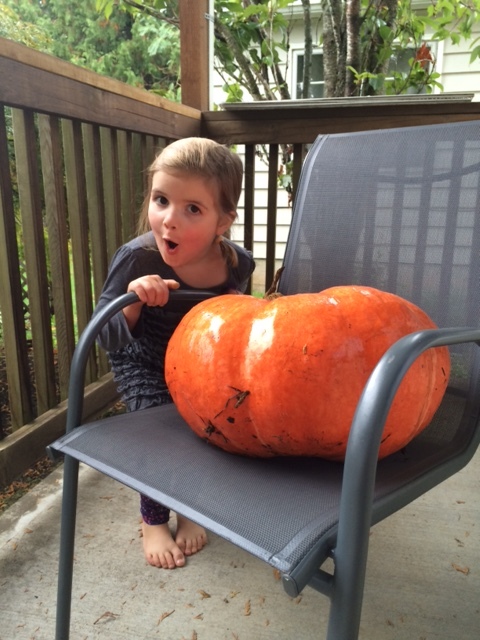 Of course she chose the biggest one – it had to be brought over to our house in a wheel barrow. If there is one thing I could say about our neighbors it’s that they love our kids really well. So many things to be thankful for and lots more to come. Visiting family in Georgia is going to be a huge highlight for November! 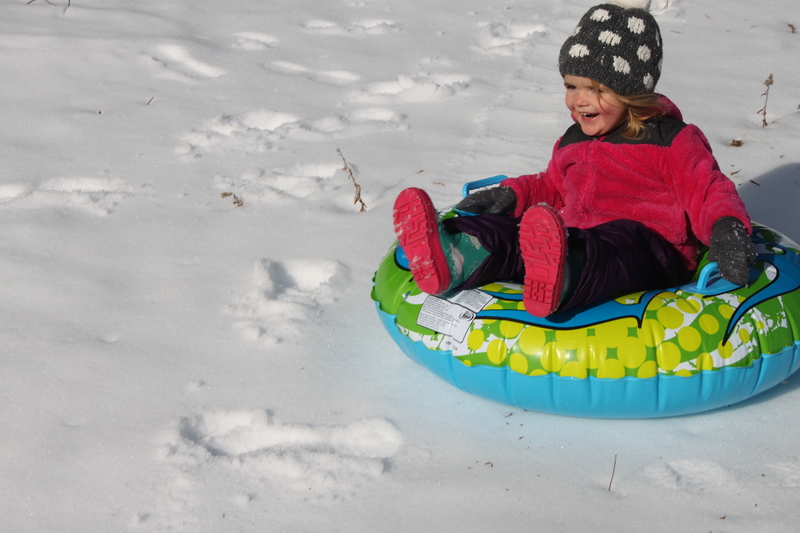 The last time I updated this blog Caroline was not even 3-years-old. She’s now 4 and a half. 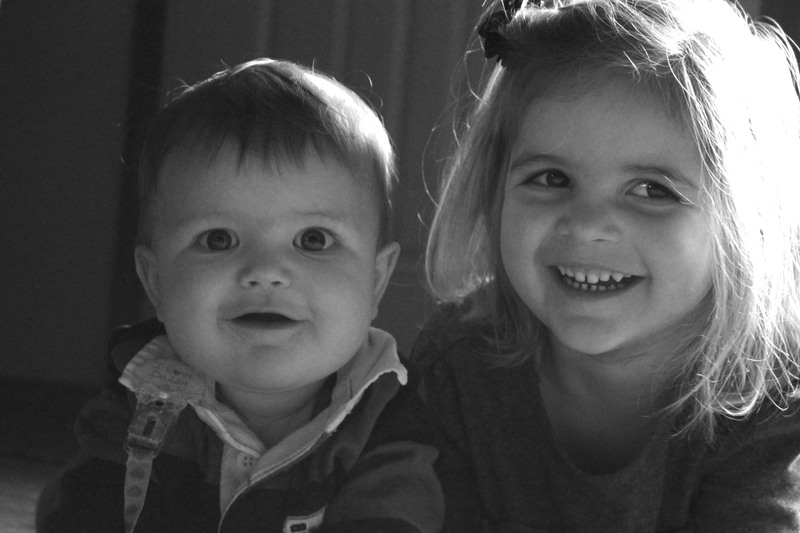 And she has a little brother…. Oops. I don’t think I could or should write about ALL the events of the last two years, so maybe we should just start with Judson’s birth. 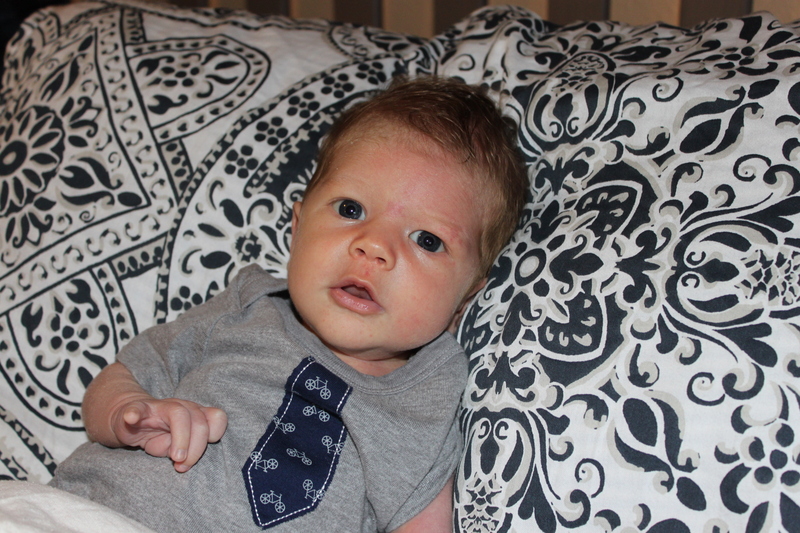 Judson was born in June, 2014 and was the first of our family to be born outside of Georgia (his very own little Smith claim to fame). 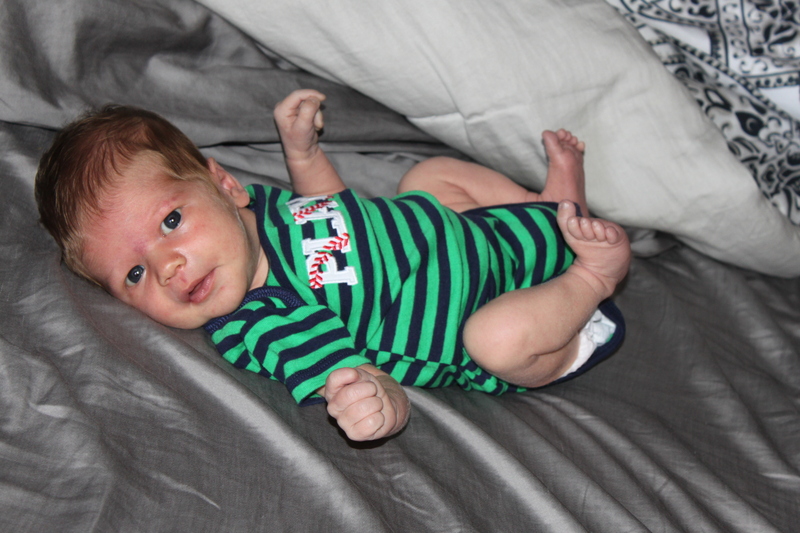 He came a few days after his due date (12 to be exact), but when he did come, he came quickly. 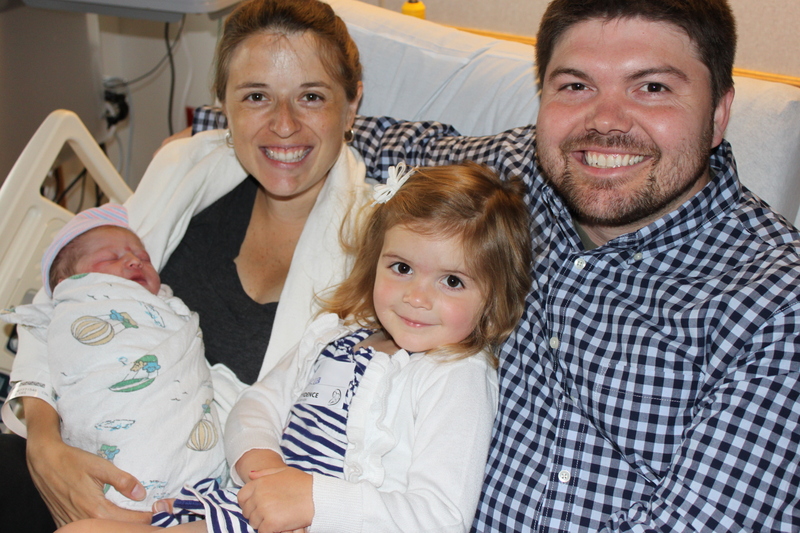 Only 4 hours of labor…praise the Lord! He has been the sweetest,cuddliest, smiliest, best-sleeping baby in all the land. Here are a few highlights from his first year. 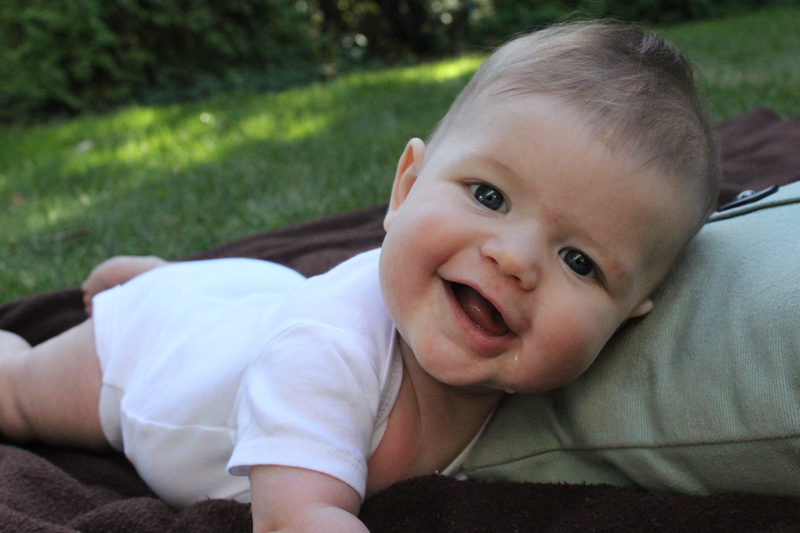 He learned to crawl around 7 months, walk at 11 months, and talk around…well…talk is…slow. Typical boy. 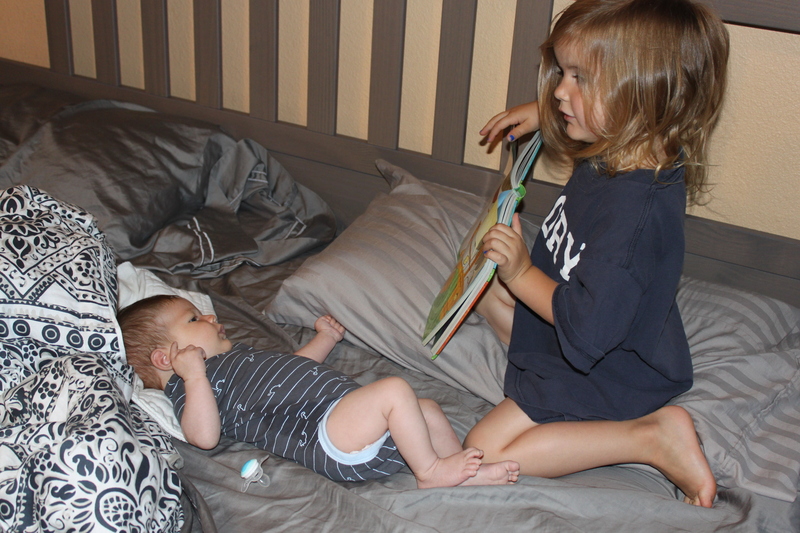 Caroline has been a huge help and she even said today “I’m so glad I get to have my baby brother”. They are starting to play well together, and I am so proud of their sweet friendship. 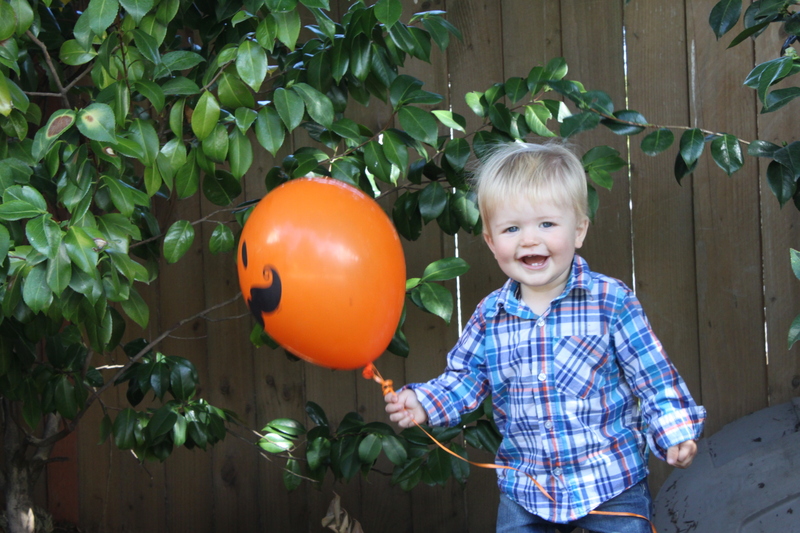 And now I feel bad that I summed up his whole life in one blog post…poor second kid. We had a really great, super busy summer. 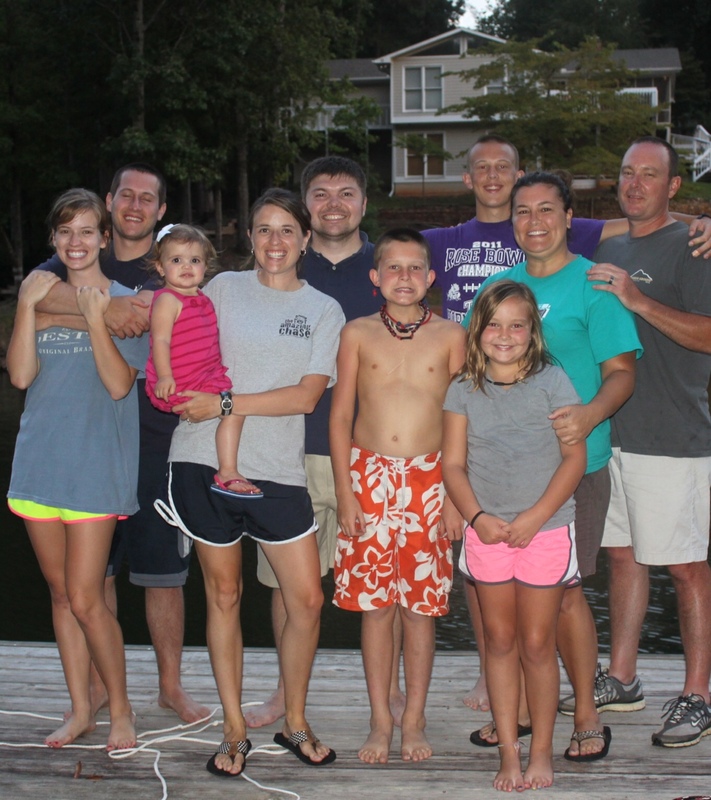 We had lots of family and friends come to visit (so thankful for that), and we got to do a little vacationing. We spent a week exploring Seattle and a few days exploring San Francisco (thanks to Michael’s new job – another big change in the last 6 months). Both were amazing trips and we feel thankful to have a whole other side of the country to explore. One more big update from the summer is our new church home! God provided a new place for us to build community with some amazing people and we have been soaking up new friendships for the past few months. It’s difficult to sum up almost 2 years in one blog post (especially when it includes a new baby). I hate that I’ve missed so many little things along the way (although that is why I LOVE instagram), and my little family is growing way too fast so I will try to get better about updating more often. This is the view from our front porch today. 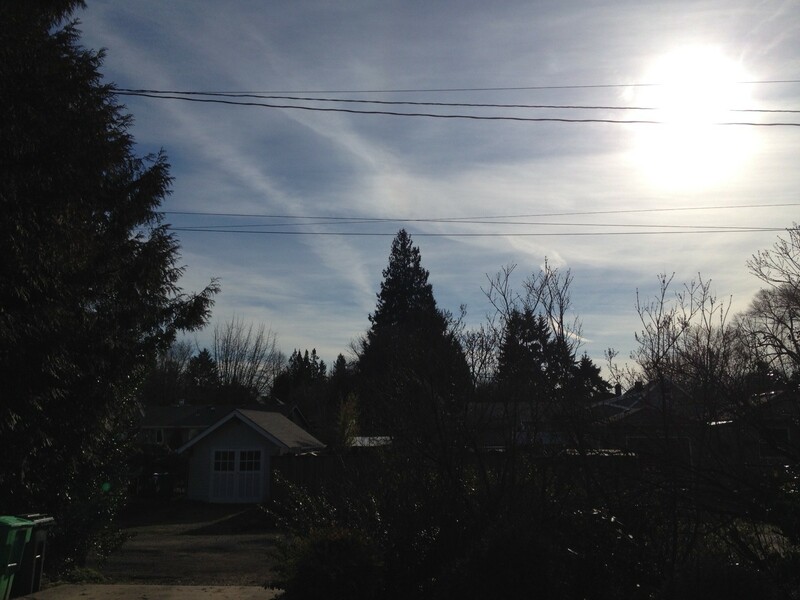 No big deal except for the blue sky and sun which we’ve been told rarely makes an appearance in the middle of winter. Not sure if this is bad news for a sunny summer, but we have been pleasantly surprised by the awesome weather the past few weeks. Even though I would say we’ve seen plenty of rain since we moved to Portland, people are talking like it’s a drought. Lots to catch up on around here. Baby C is no longer a baby! 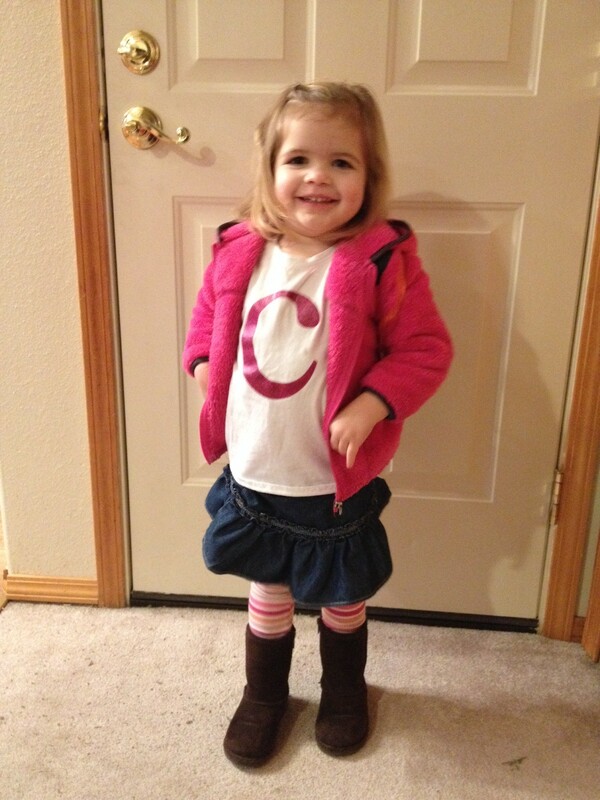 She will be 3 in a little over a month and she started preschool this morning. She loved every minute and can’t wait to go back. 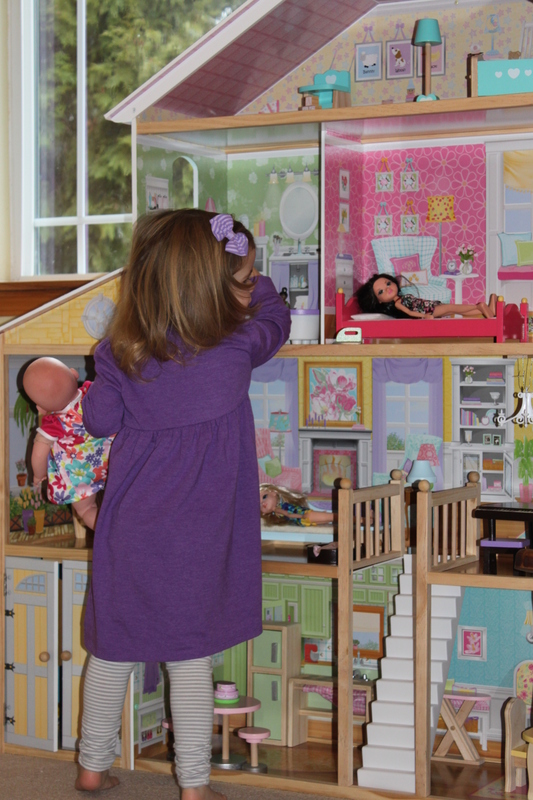 Caroline has also been enjoying her new Christmas loot, including a tricycle that she loves and this enormous doll house from her Papa J and Nana. She is clearly living the life. 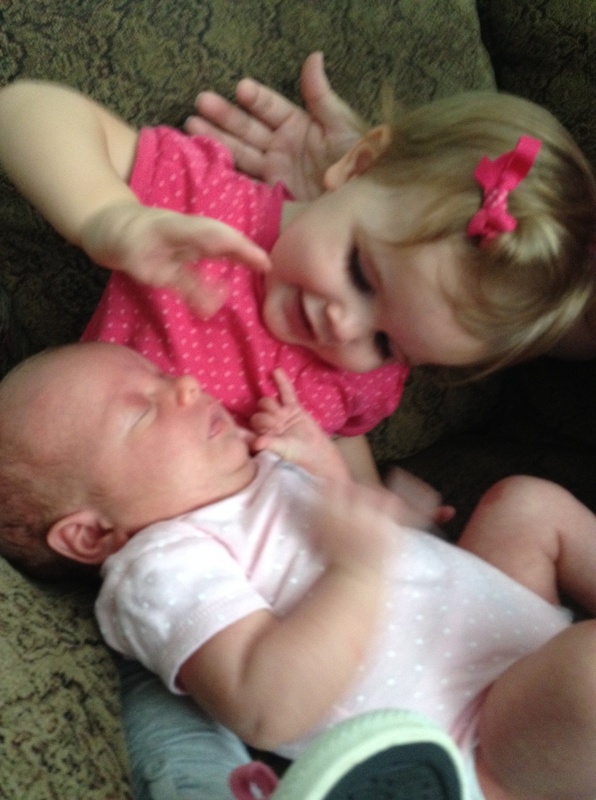 She’s also really excited to be a big sister! 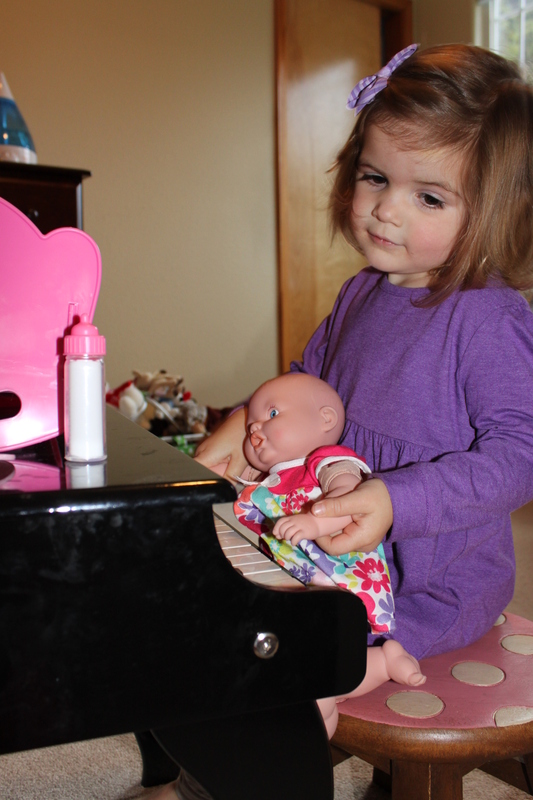 Getting in lots of practice already – feeding her baby dolls and teaching them to play piano. 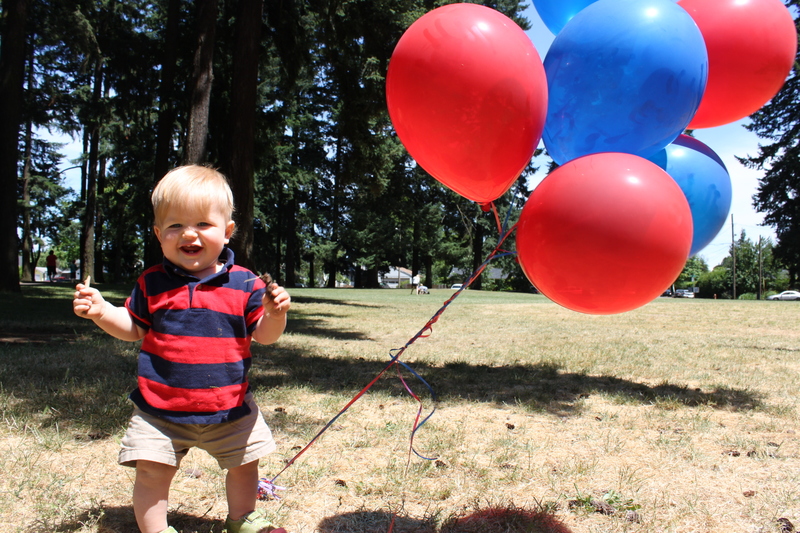 We are so thankful for this joy-filled, hilarious, active, sweet, soon-to-be 3-year-old. She has adapted perfectly to OR thanks to our faithful Father and we are loving watching her grow in our new city. 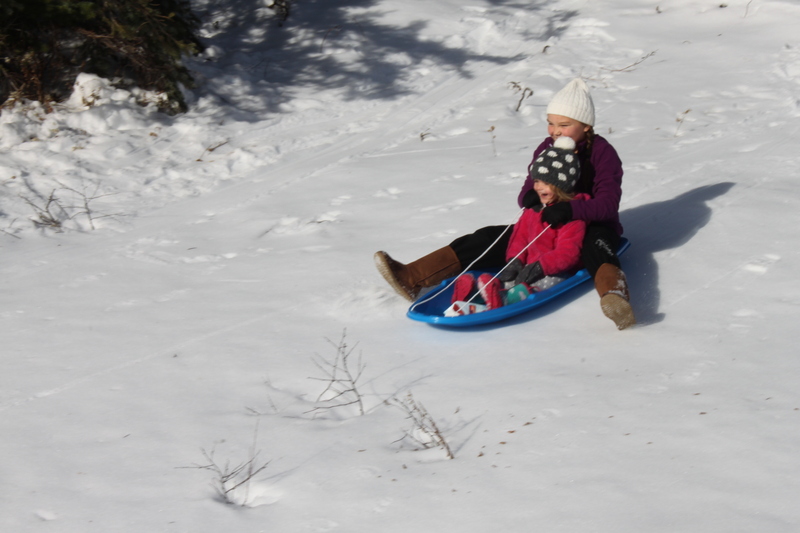 Winter is not my cup of tea, but I could handle a day like this every now and then. It was perfect. Blue skies, a small hill at the bottom of a big mountain, and some snow (really exciting stuff for these southerners). We headed to Mt. 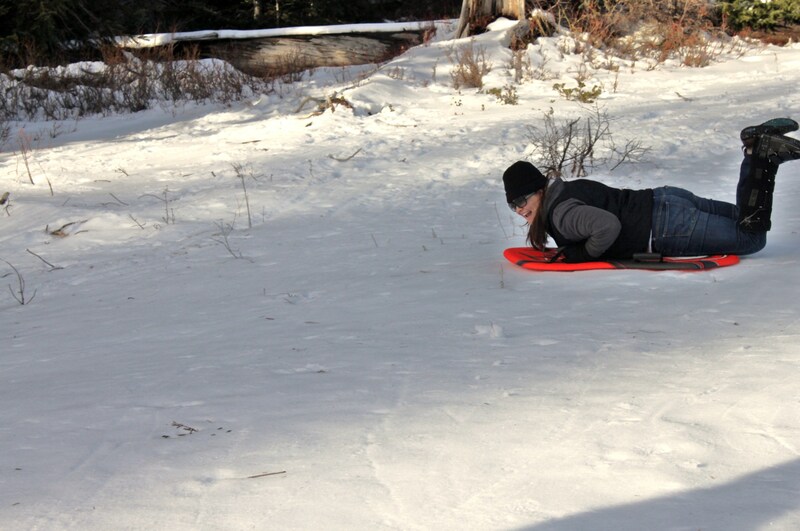 Hood (a little over an hour away) and found tons of areas that offer sledding and skiing, but not too much snow yet. 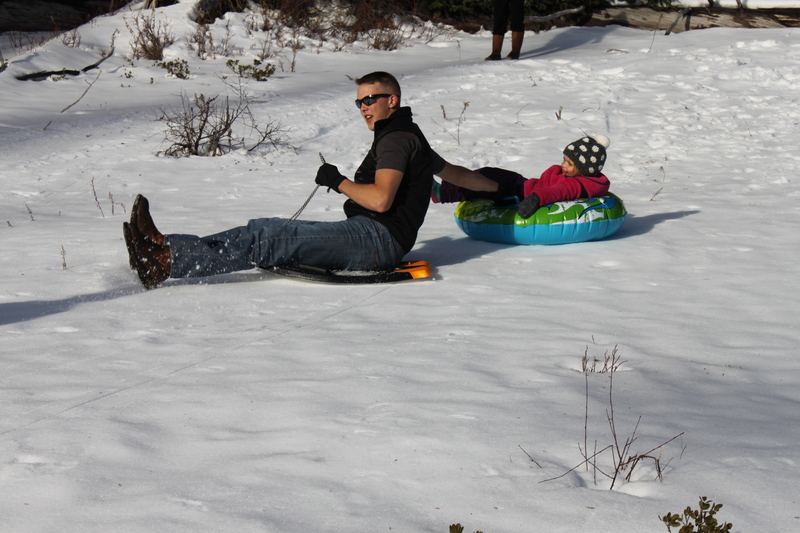 There was one ski resort open, but we ended up using a hill we found at a resort that hasn’t opened yet. 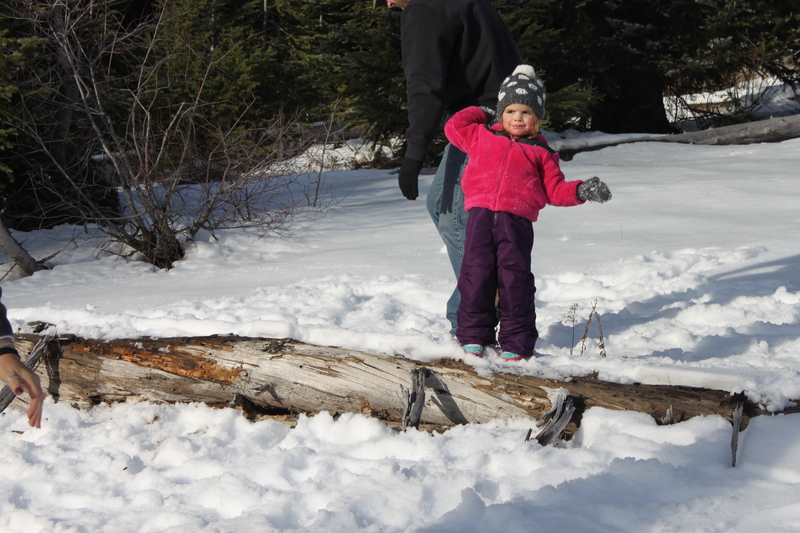 It was Caroline’s first snow adventure and she loved it (although we had to leave before she ATE all of the snow on the hill…). We are so glad to have Micah here for Thanksgiving, especially Caroline. She loves having an extra playmate around. 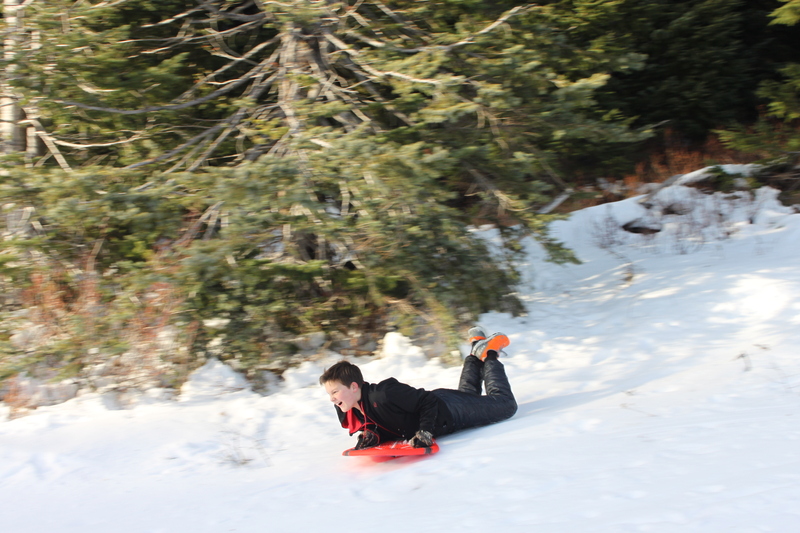 Jacob did not hold back when it came to sledding. He made ramps that sent him flying over fallen logs. 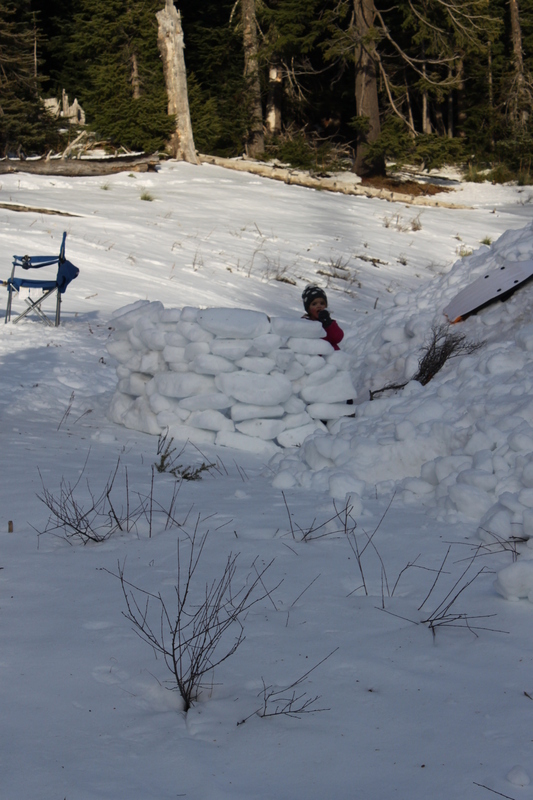 Snowball fights and igloos were highlights of the day. 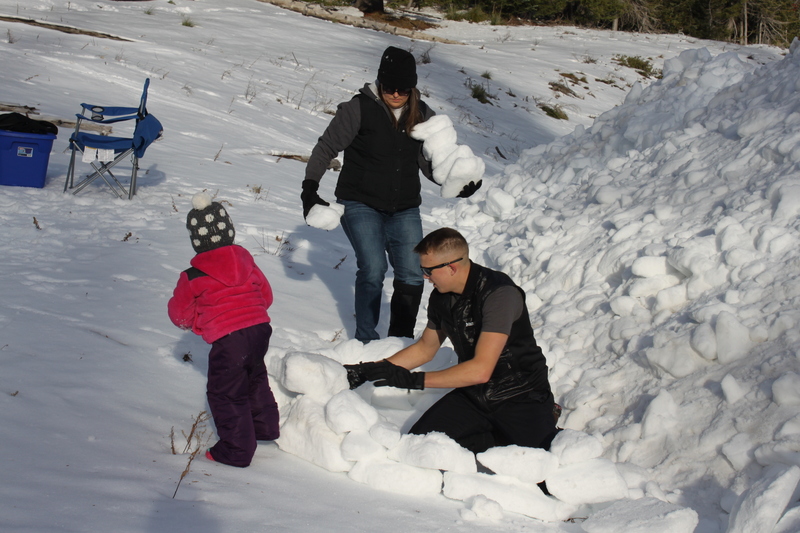 Caroline tried so hard to get in on the snowball action, but they kept sticking to her gloves. Exciting and exhausting day, but we are so thankful to have our closest friends to take on new adventures with in Portland! We have lived in Portland for exactly one week. So far, it’s exactly what I thought it would be. Amazing. The problem is that it feels a lot like vacation and not a lot like real life just yet. Our house is coming together – thanks to the Hankins’ for helping us unpack and get settled. The restaurants have been incredible – it is seriously difficult not to go out to eat every meal. And we are loving our neighborhood. We can walk to the grocery store, the library, tons of restaurants, and an AMAZING taco food truck. $2 pulled pork tacos. I ate there twice this week. We got to Portland at exactly the right time. 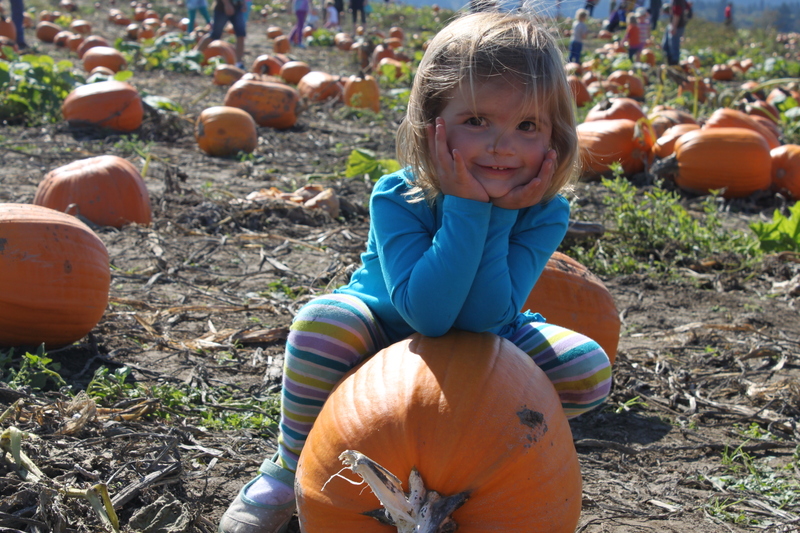 We’ll get to enjoy a little bit of the sun before is goes away until next spring…no joke. 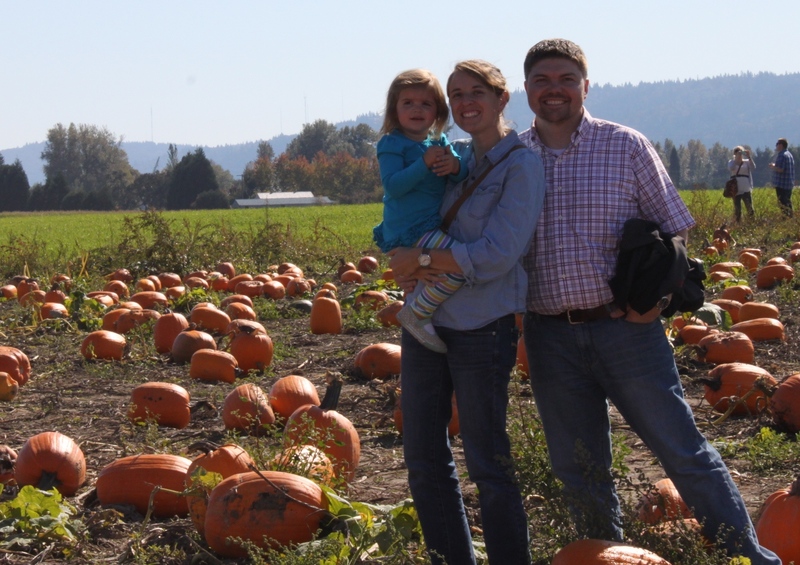 We took advantage of the sun and spent Sunday on Sauvie Island visiting the pumpkin patch and enjoying the perfect weather. 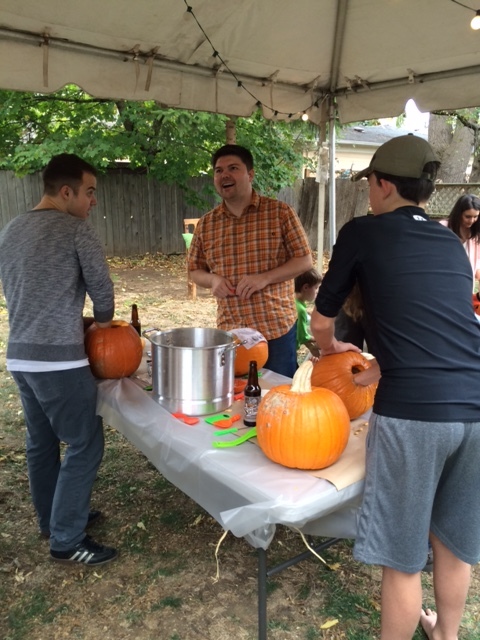 We’re planning to do a pumpkin carving party at the Hankins’ in a few weeks with some neighbors and the kids have invited friends from school. A tradition in Rome will start fresh in Portland! 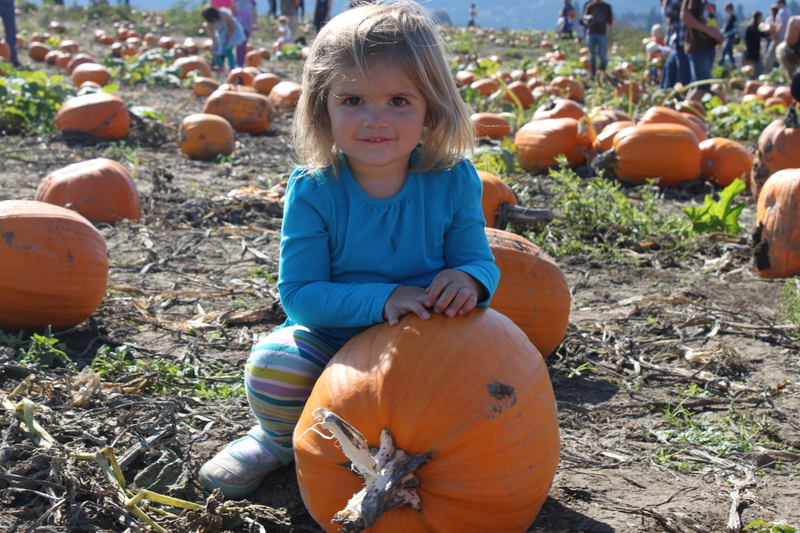 Caroline found her pumpkin – perfect size! The skies were completely clear which is a big deal around here. It means you can see the snow-capped mountains that surround the city. 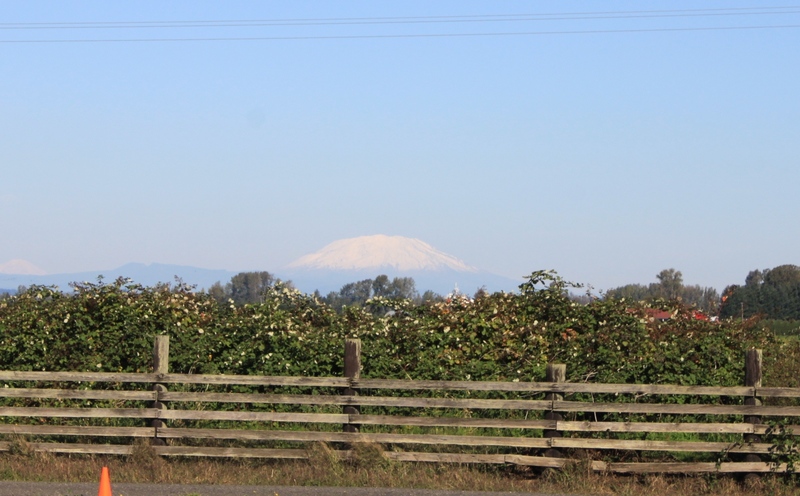 Mount St. Helen’s is one. The picture below doesn’t do it justice. 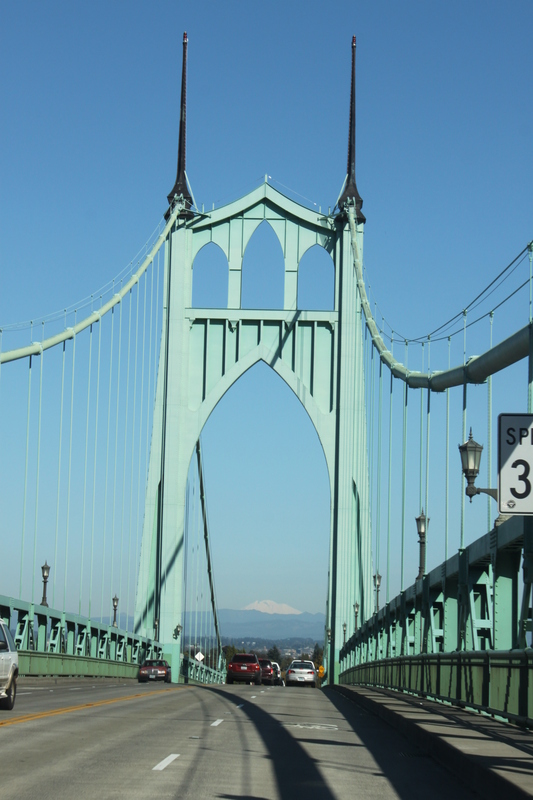 We’re so excited to learn this city and become real Portlanders! Everything is happening so quickly – I wish I could remember to take it all in. The summer of 2012 was a perfect one in my book. 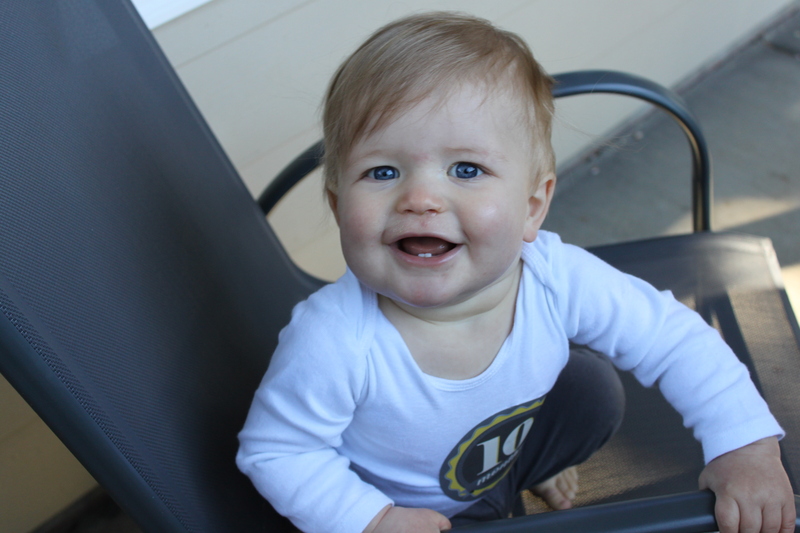 We are beyond thankful for an amazing 18-month old, great friends, and sweet times with family. 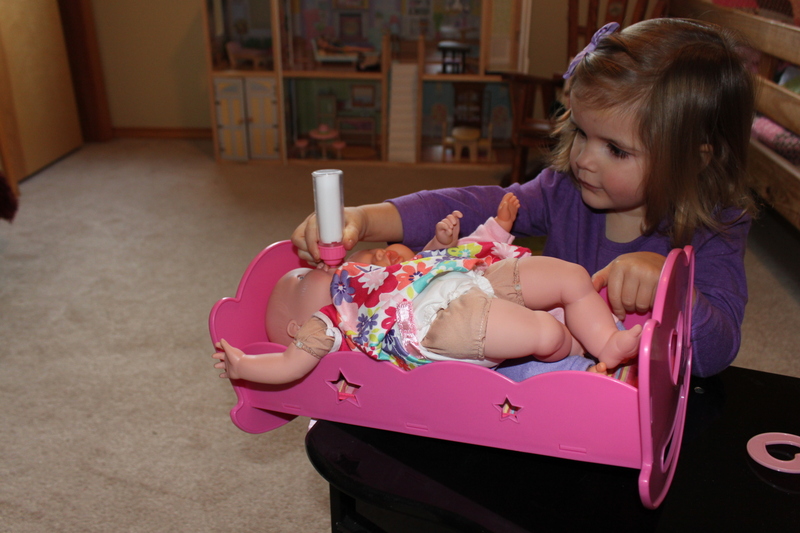 Caroline and Adalyn are great friends – they love baby dolls, anything on the iphone, and playing with Papa J and Nana. 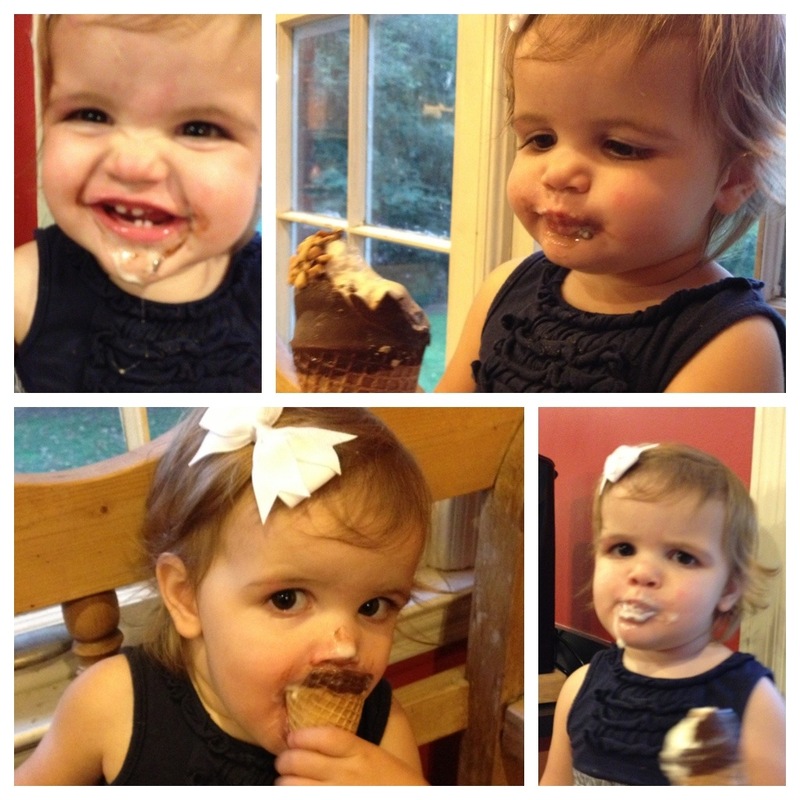 I can’t imagine where this girl could have picked up her love for ice cream. Michael is so proud. 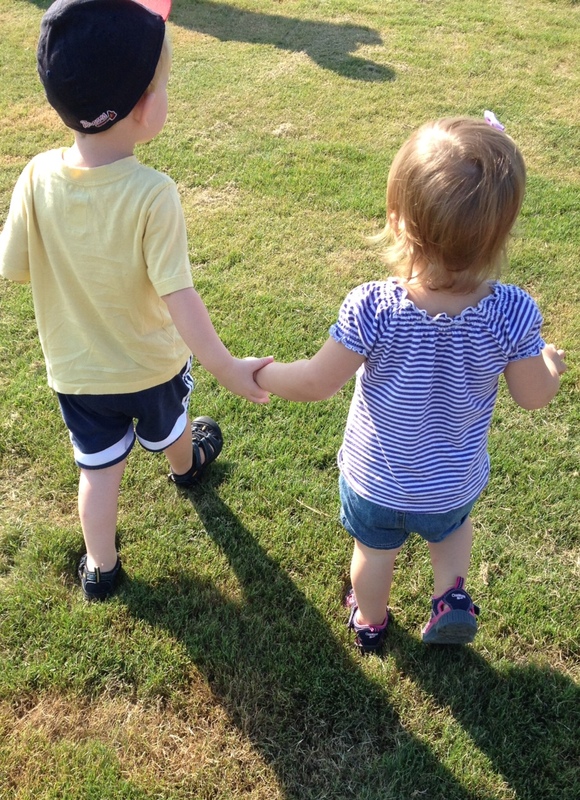 These two became fast friends now that they can play ‘together’. 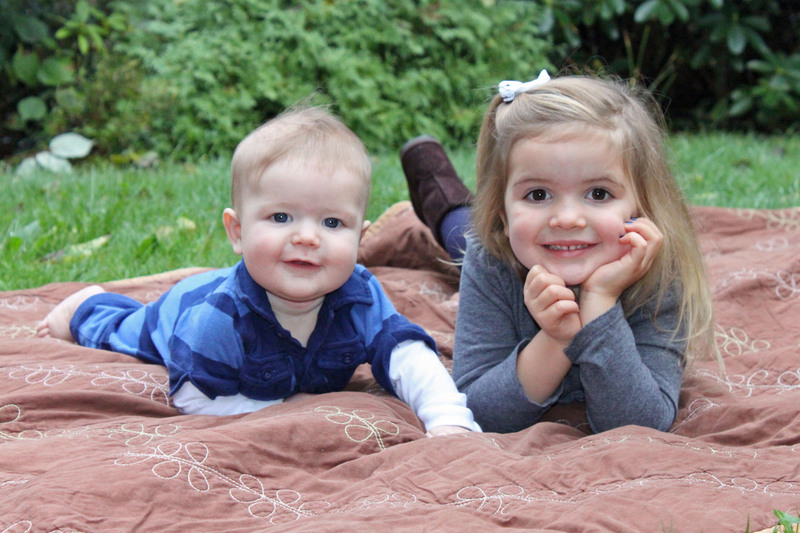 They share a love of touchscreens, Micky Mouse, and the tomahawk chop. 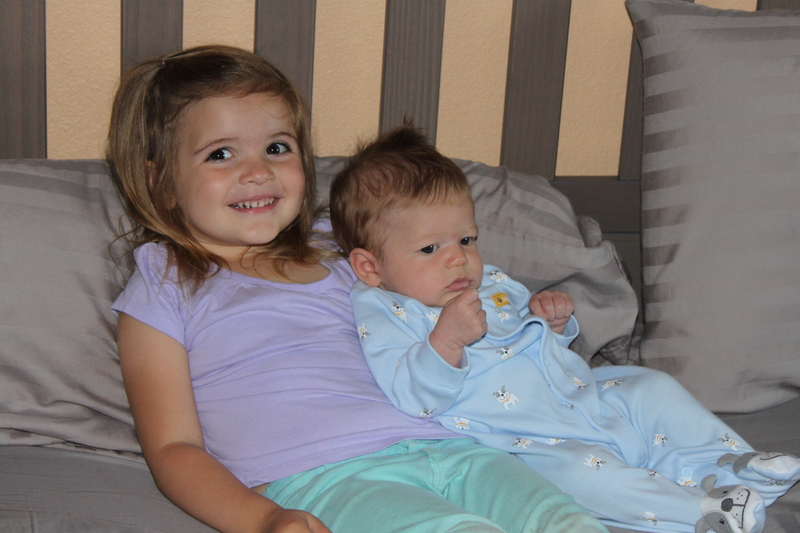 And Benton’s new little sister is Caroline’s favorite ‘bebe’. 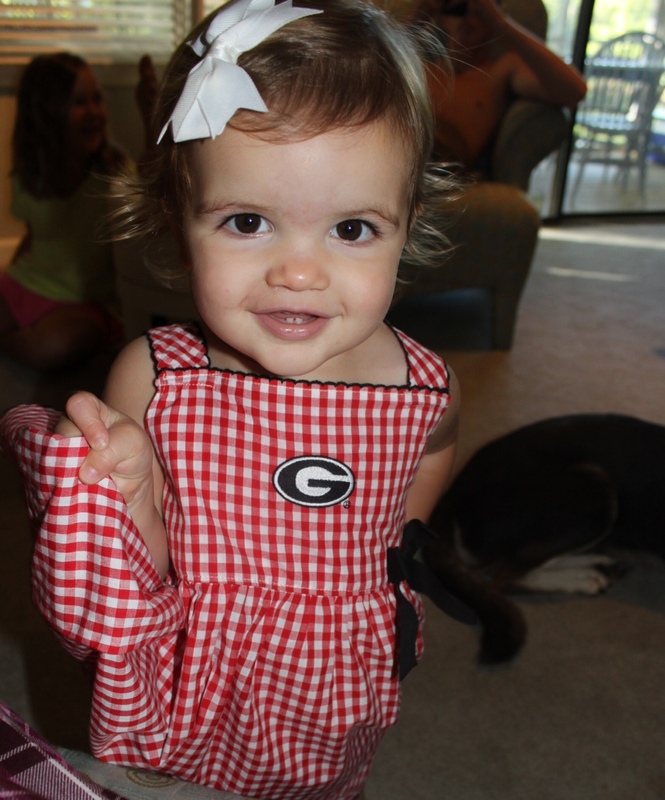 “Goooooo dogs!” was a fun addition to her vocabulary this summer. 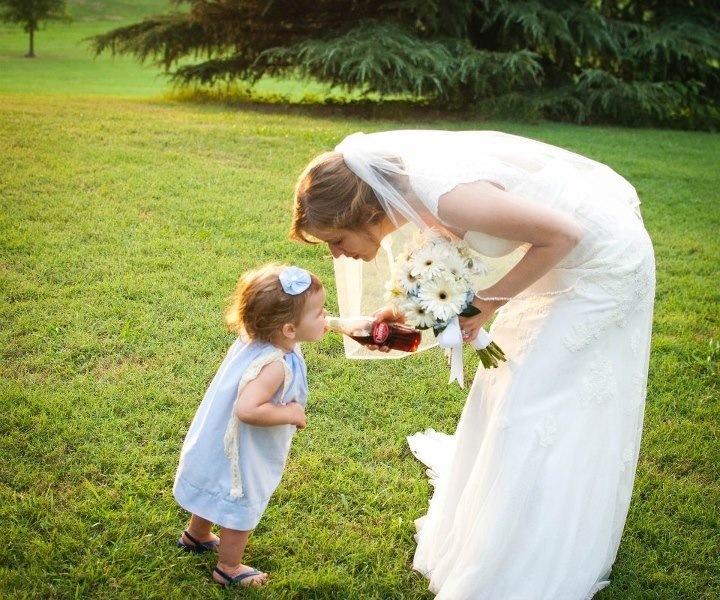 We got to enjoy a sweet wedding at Oak Hill and Caroline got to enjoy her first taste of Cheerwine. Michael’s 30th birthday will go down in the books as a memorable one to say the least. 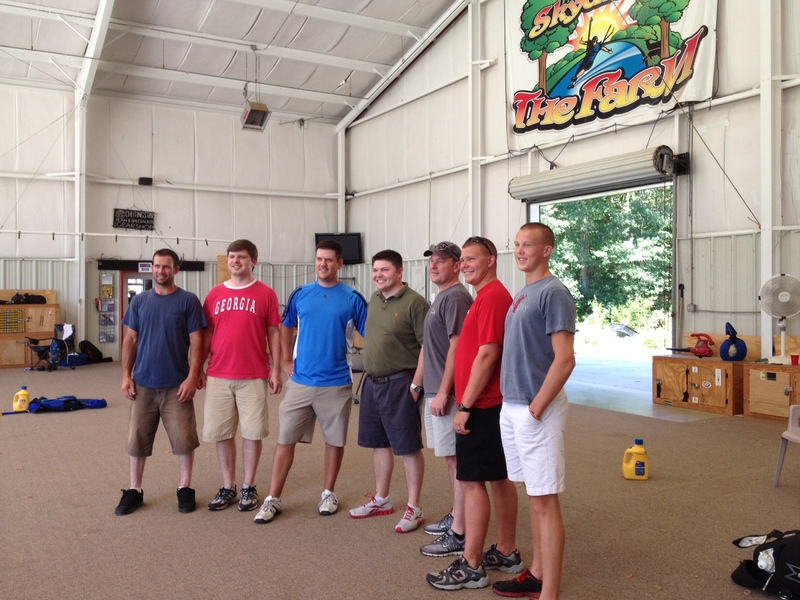 We shocked him with a skydiving trip with 6 friends. It was a perfect surprise and a perfect day. 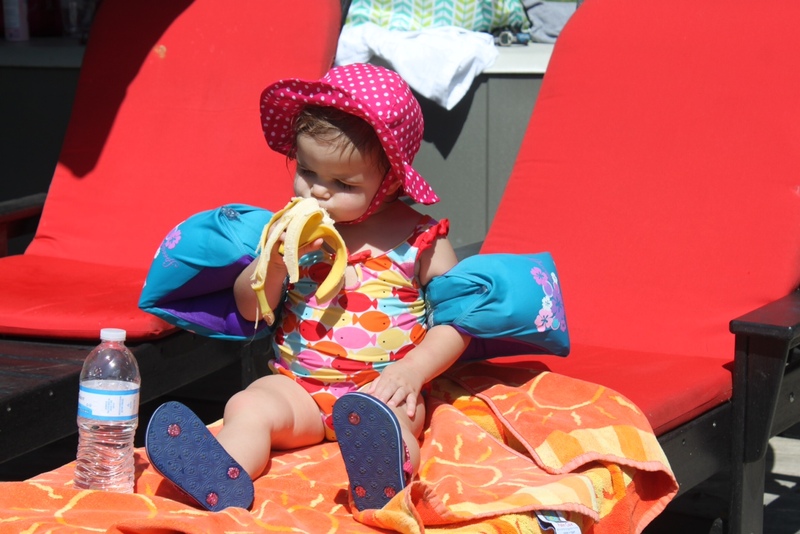 Caroline’s second Braves game – much more fun for her this year. 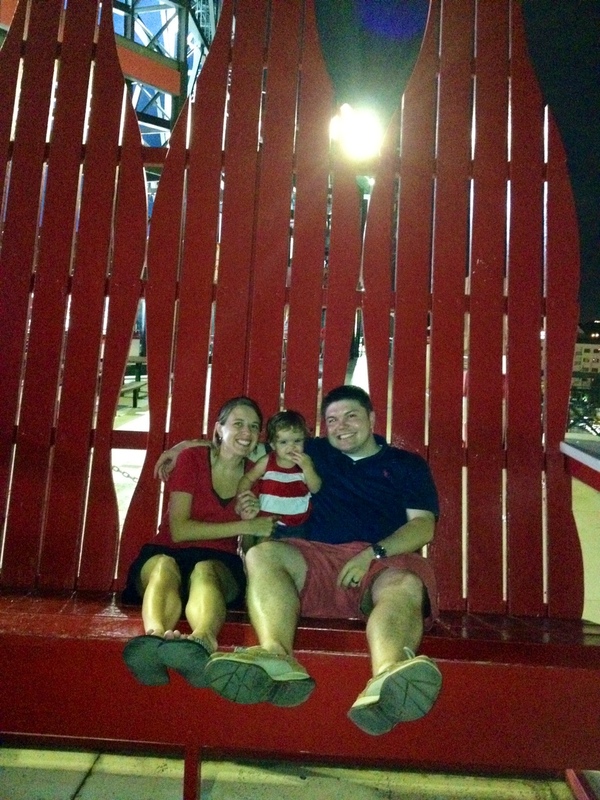 She loved the crowd, the ice cream, and the big coca-cola chairs.